I'm an absolute animal lover. My favorite animals are dogs, cats, and birds. I own two parrots. I have a pineapple conure and a blue-fronted Amazon. I have owned dogs, cats and birds all of my life. I'm 42, so I've had a lifetime of pet care experience. 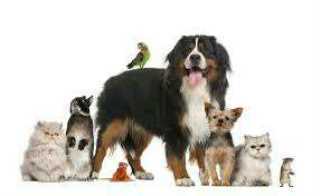 I am very knowledgeable about healthy diets, proper living conditions and overall Pet Health. My specialty is birds. I am very good with pet training and grooming. I am able to trim nails, wings and file beaks. Cyndi's service is located in or nearby Taylor, Michigan. Book via PetBacker for Insurance, Payment protection & 24x7 support. If you have hired Cyndi before, leave a review now. Contact Cyndi now with your pets info. If Cyndi is busy, we can help include similar Backers.